In November, 2016, Barack Obama awarded the Presidential Medal Of Freedom to Margaret Hamilton — not the one who played the Wicked Witch in “The Wizard Of Oz,” but the computer scientist who, among other things, developed the on-board flight software for the Apollo space program. Watching the ceremony, I was surprised and embarrassed because I did not know that any women worked for NASA in such a capacity in the 1960s. So, you can imagine my surprise when I saw “Hidden Figures,” which is about the African-American women who were an integral part of our space program — all the way back to its earliest Mercury days. It’s a lesson that I, along with the overwhelming majority of Americans, never learned in our history of that era. 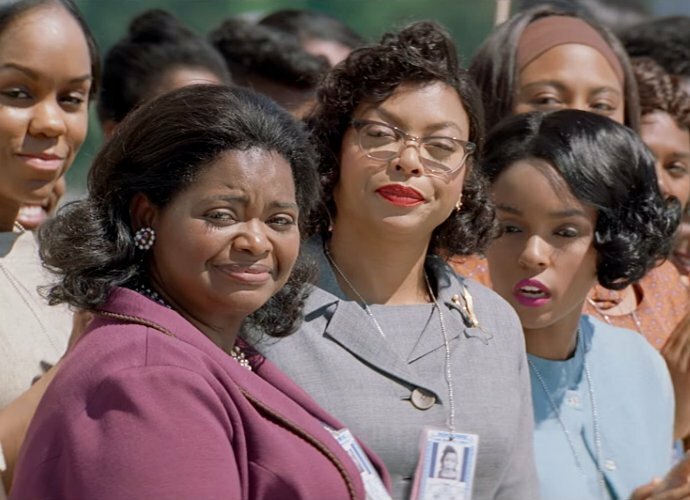 The movie focuses on three women: Katherine Johnson (Taraji P. Henson), a mathematician who calculated flight trajectories for John Glenn’s orbital flight and others, all the way up to the moon landing; Dorothy Vaughan (Octavia Spencer), who taught herself the Fortran programming language so she could work on NASA’s new IBM mainframe; and Mary Jackson (Janelle Monae), another mathematician who wants to be an engineer but is hindered by the Jim Crow laws of the time. These women, whose accomplishments have been overlooked, finally get their due in a very entertaining story. “Hidden Figures” shows their battles for respect in a society with segregated bathrooms and a work environment full of white men in white shirts (Jim Parsons is miscast as one of them) who looked down on the women and refused to believe that they could contribute anything. We also get a taste of what life was like for them off the job, which humanizes and lightens their story. Director Theodore Melfi (“St. Vincent”), who co-wrote “Hidden Figures” with Allison Schroeder, gets very good performances out of his stars — particularly Henson — as well as the supporting cast, which includes Kevin Costner, Kirsten Dunst, and Mahershala Ali. I concur wholeheartedly, and having seen the movie in a theater populated mostly with under-50 African-Americans, I heard that sentiment being expressed throughout the room — along with the joy of seeing an unknown piece of our history uncovered in such an entertaining fashion. I give “Hidden Figures” a 9 out of 10.